Chinese-based smartphone manufacturer LeEco (formerly Letv) on Wednesday refreshed its entire line of handsets. The new devices, the Le 2, the Le 2 Pro and the Le Max 2, are especially noteworthy as none of them feature traditional 3.5mm headphone jacks. As you might guess, the naming convention represents the company’s mid-tier, flagship and phablet devices, respectively. The Le 2 and Le 2 Pro both utilize a 5.5-inch, 1080p LCD display. The entry-level Le 2 packs a MediaTek Helio X20 SoC, 3GB of RAM and 32GB of flash storage while the higher-end Le 2 Pro gets MediaTek’s Helio X25 chip and 4GB of RAM to go with its 32GB of local storage. Those paying a bit more for the Pro model will also enjoy a 21-megapixel rear-facing camera from Sony versus the 16-megapixel shooter on the standard Le 2. Not impressed yet? Perhaps LeEco’s phablet-class device will sway you. The 5.7-inch, QHD Le Max 2 features Qualcomm’s Snapdragon 820 SoC with up to 6GB of RAM (a first for any Android phone). It’s offered in your choice of 32GB or 64GB of local flash storage, a 21-megapixel rear-facing camera (Sony IMX230 image sensor) with optical image stabilization, an 8-megapixel selfie cam, dual-band 801.11 a/b/g/n/ac Wi-Fi, 4G LTE and more, all powered by a 3,100mAh battery. All three handsets ditch the traditional 3.5mm headphone jack in favor of a USB Type-C connector that handles both charging and audio duties. 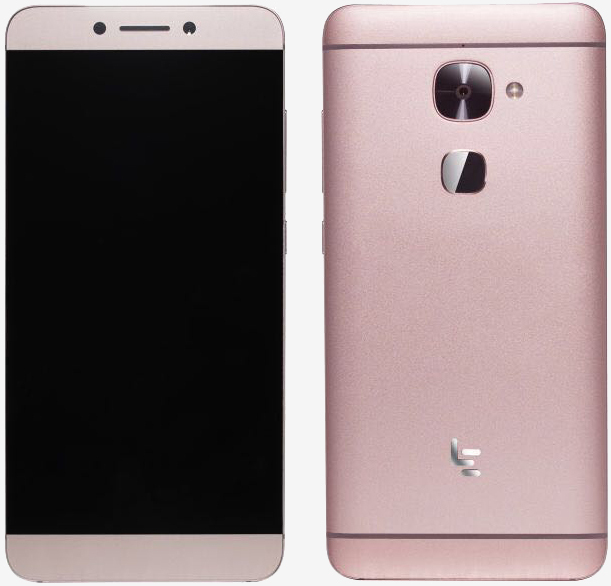 As AnandTech points out, LeEco includes a USB Type-C to 3.5mm audio adapter with each phone so you’ll still be able to use your existing 3.5mm-based headphones. Pricing is set at around $170 for the Le2 and climbs to roughly $230 for the Le 2 Pro. If it’s the Le Max 2 that you’re after, expect to pay around $325 for the base model with 4GB of RAM and 32GB of storage or $385 for the high-end offering with 6GB of RAM and 64GB of flash storage. Unfortunately, LeEco only has plans to launch these phones in China for the time being although one could show up in the US later this year.